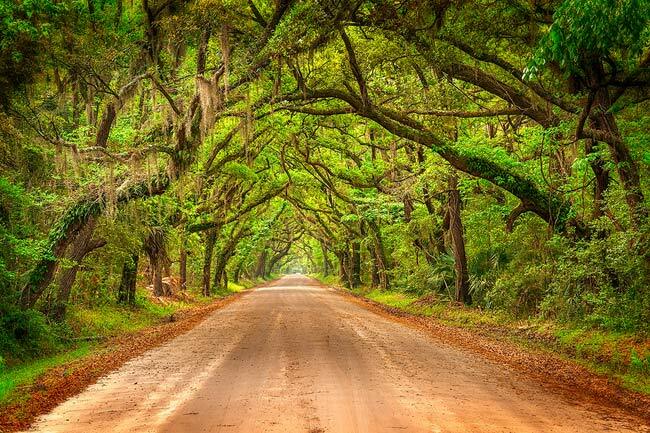 Edisto Island is named after the Edisto Indian tribe who originally inhabited the island. 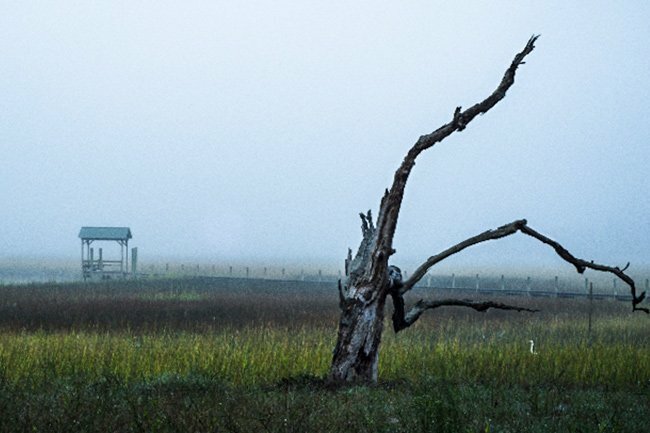 Today, Edisto is a quiet, family island, with very little commercialization. 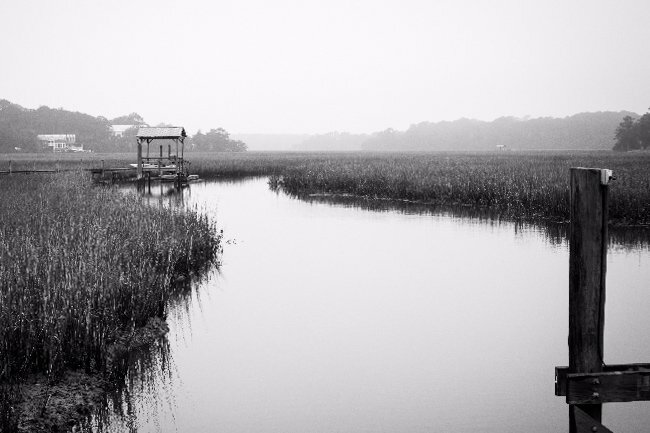 English settlers arrived at the island in the 1600s and cultivated rice, indigo, and Sea Island cotton – known as one of the best cottons ever made. The farmers prospered greatly, and built elegant houses and plantations, some which remain today. These historic sites, such as Brooklands Plantation, are listed in the National Register of Historic Places. 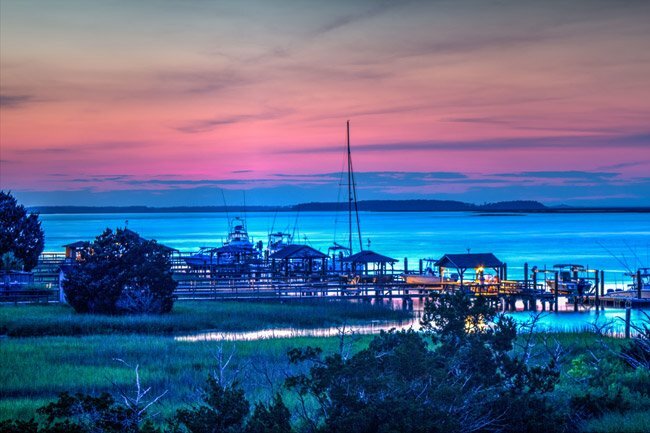 Edisto Island is a fabulous place to escape the stress and demands of everyday life. 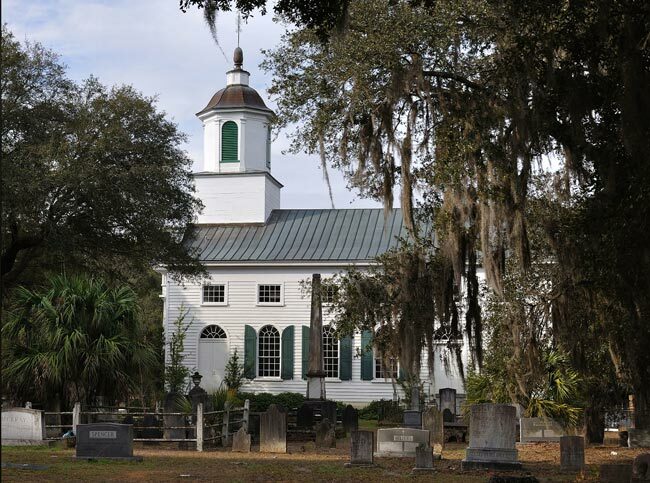 One can spend an entire day exploring the marshes and creeks by boat, or viewing elegant plantation homes and visiting historic churches, such as the Presbyterian Church of Edisto Island, seen below. The beaches here are secluded and are the perfect place to collect shells and soak up the sun. Botany Bay (pictured below), a 3,363-acre wildlife preserve on two former plantations, offers pristine beaches, salt marshes, and maritime forests. Visitors can also view remnants of the former Sea Cloud and Bleak Hall plantations while at Botany Bay. There are also unique local landmarks around the island which are definitely worth a visit. There is an island swing which has a colorful story behind it, as well as a mystery tree, seen below, that changes with the seasons. 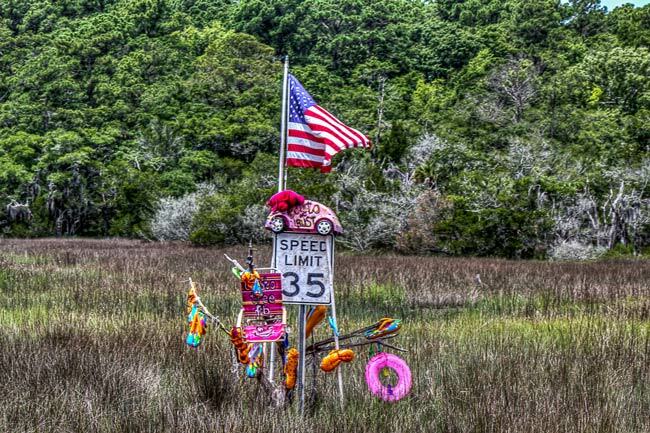 Edisto Island is full of a quirky and undeniable charm. 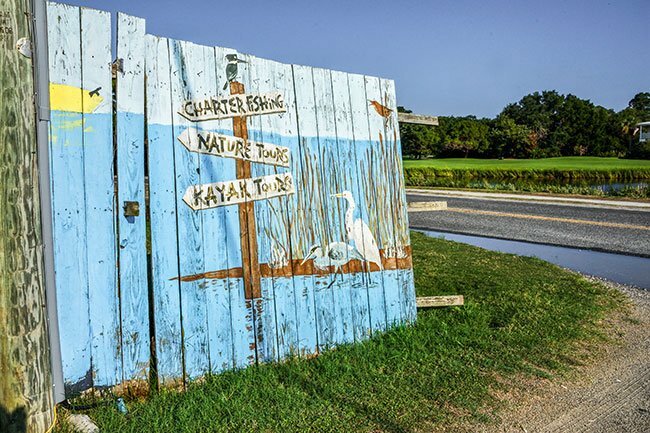 Hand-painted signs, like this one below, showcase the copious amounts of outdoor activities that are prevalent here. 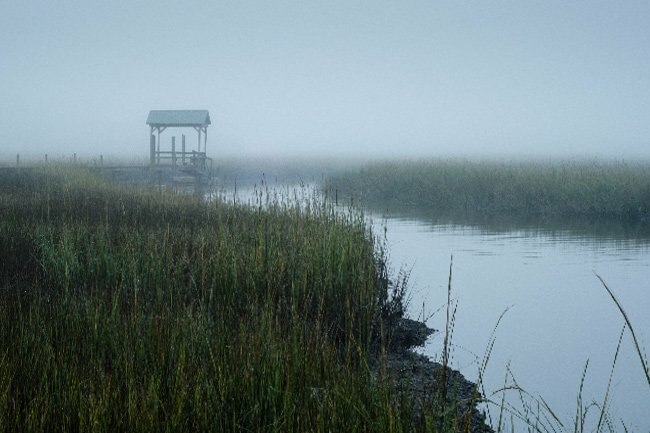 Learn more about preservation efforts for Edisto Island.